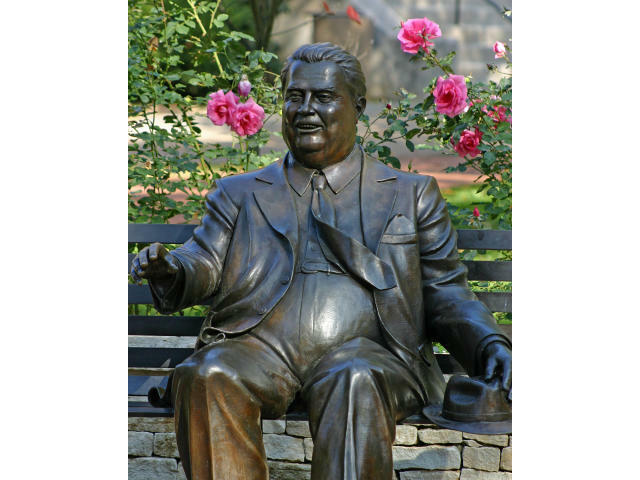 A sculpture of the university's eleventh president and first chancellor, Herman B Wells (1902-2000), is located in the Old Crescent area of campus. To celebrate his life and legacy, the university commissioned a sculpture shortly after Wells passed away in early 2000. 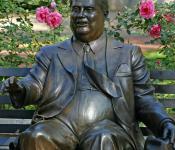 The bronze sculpture was created by IU South Bend Professor Tuck Langland and was dedicated October 21, 2000. Robert F. LeBien, chair of the Herman B Wells Sculpture committee, says, "The sculpture represents Dr. Wells not as bigger than life but as part of life. It shows Dr. Wells as we all knew him -- as one of us."